It wasn’t the most difficult of tests. 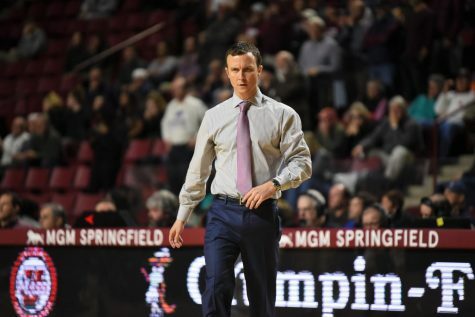 It was sloppy for some stretches and exciting for others, but in the end the Massachusetts men’s basketball and its young freshmen class started their careers on a high note Friday afternoon at Mullins Center. 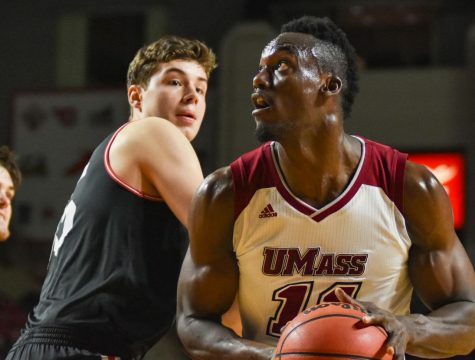 Mixed with a blend of solid collegiate debuts from Luwane Pipkins and DeJon Jarreau, paired with career day for Rashaan Holloway, UMass’ depth and size were too much for UMass Lowell to handle as the Minutemen walked away with a 90-76 victory in their season opener. 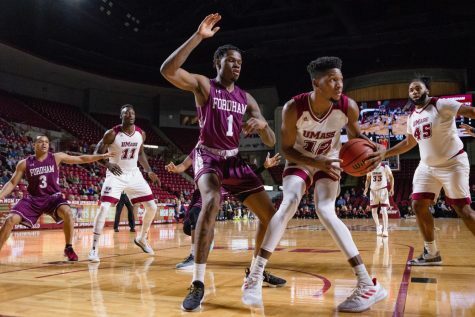 Pipkins is going to be a treat for UMass (1-0) fans to watch for years to come. 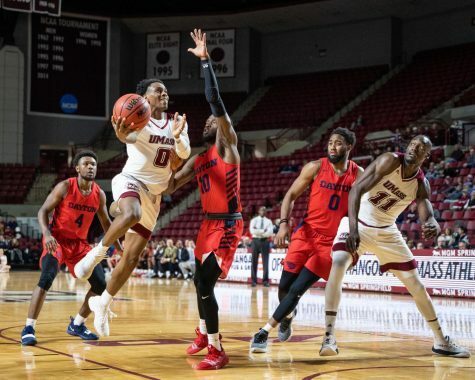 The 5-foot-11 guard finished with 14 points, four rebounds and three assists, but what was most notable was his confidence and on-ball defense. 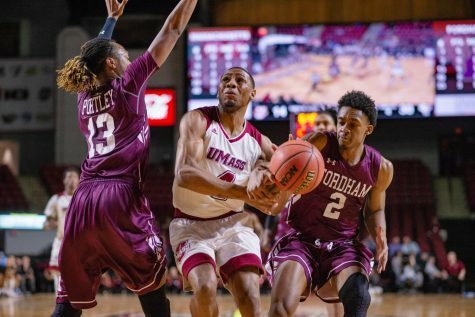 In his first career game, Pipkins tied the Minutemen’s single-game steals record with eight. 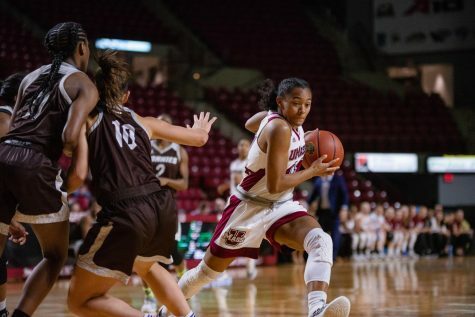 UML finished the game with 28 total turnovers, 17 of which came in the first half. River Hawks guard Jahad Thomas finished with eight turnovers, while six other players had at least three. 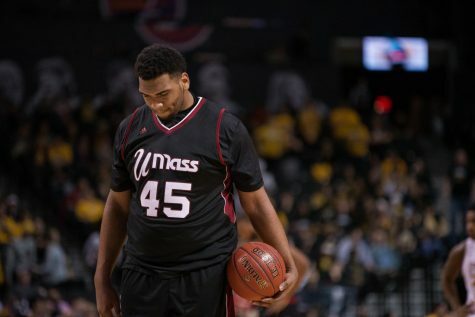 Jarreau’s stat line didn’t do the justice of how well he played against UML (0-1). He finished with just four points on 1-for-4 shooting, but added a game-high seven assists to go along with three rebounds. 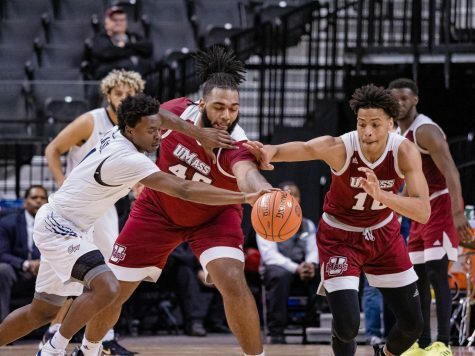 In addition to Pipkins and Jarreau, forwards Tyrn Flowers and Chris Baldwin showed promise in their debuts. 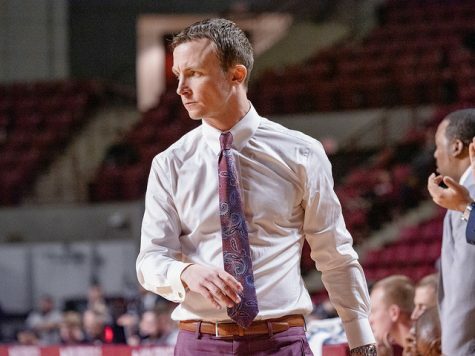 Flowers drilled one of his three 3-pointers with 12 minutes, 30 seconds remaining in the second half to give the Minutemen their largest lead of the game 70-44. 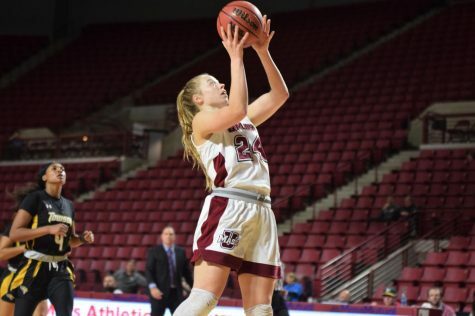 Flowers added 11 points and seven rebounds in 20 minutes of action while Baldwin chimed in with six points and three boards in nine minutes of play. But as well as the freshman played, did Kellogg like their composure and effort for the full 40 minutes?